Sunbird Cleaning Services offer quality cleaning services to the Fort Worth area. All of our services are based on Green cleaning products , to make sure we keep you safe and healthy, as well as protect the environment in the process. We offer varied and diverse cleaning solutions for all types of customers, residential, commercial and industrial. Wall to wall carpet cleaning: Steam cleaning, deep cleaning, shampoo, stain removal, pre treatment, sanitation, carpet protection. Every solution for every problem. Area Rug Cleaning: Onsite or factory cleaning depends on what shape your rug is in. We clean Oriental rugs, Persian rugs, wool rugs, synthetic rugs. Free pickup & delivery is now on offer! Upholstery cleaning: We will professionally clean your sofa, mattress, sectional, recliner, overstuffed chair, ottoman, dining chair, leather furniture and more. We also offer excellent upholstery protection services, pet and child friendly! Air Duct Cleaning: Heavy duty cleaning and a professional, cutting edge inspection process. 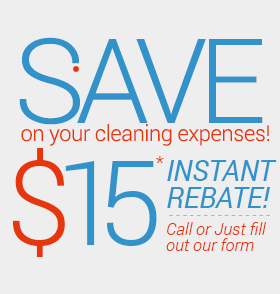 We will keep your indoor air clean and healthy! Water damage restoration treatments: We offer round the clock same day service for emergency floods, leaks, backups, pipe bursts. From water extraction to mold removal, you'll be in good hands with Sunbird Cleaning Services. Window Cleaning: We offer professional cleaning for your curtains, drapes, valances, and many more. Free pickup & drop off! Wood Floor cleaning and refinishing: We can get your wood floor its long lost shine back, as well as make any required repairs. Tile & Grout cleaning & resealing Remember how your grout used to look? We can restore it!